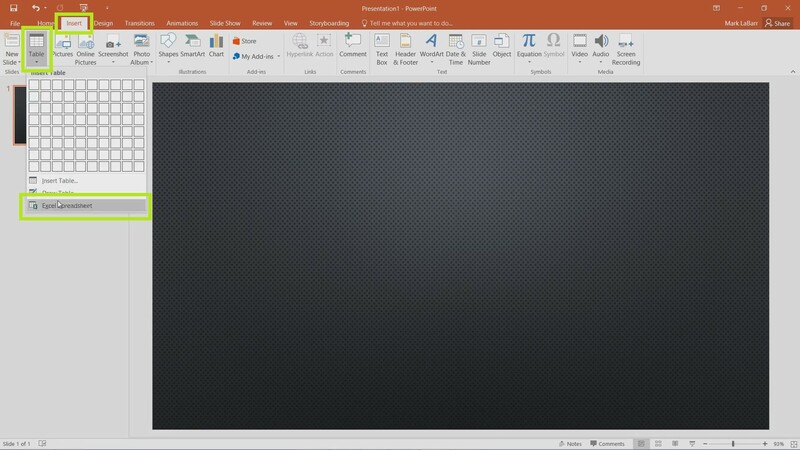 To get started, go under the Insert tab, open the Table drop-down, and select Excel Spreadsheet. 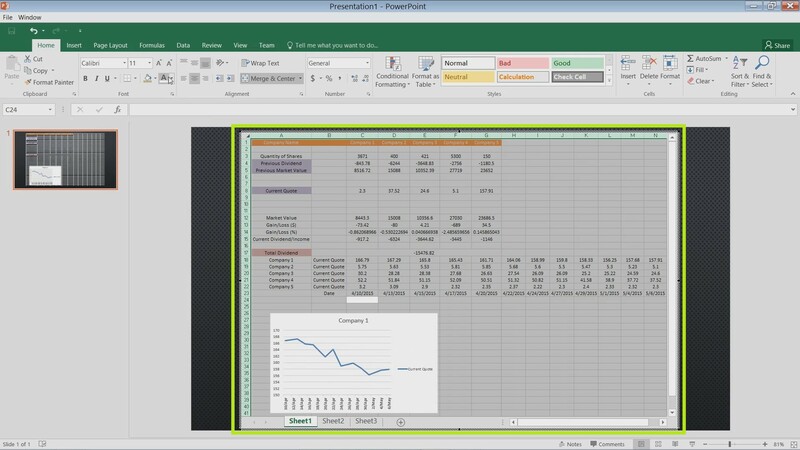 This is how to insert a blank Excel spreadsheet interface. The spreadsheet should pop up. You can edit the handles to scale it. 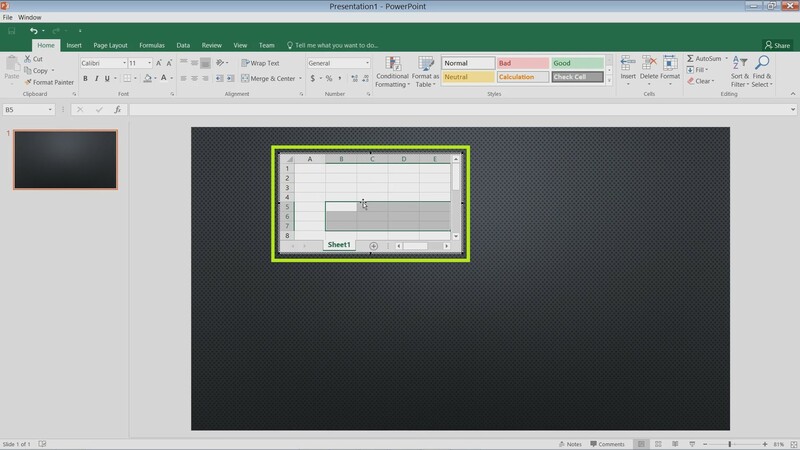 To insert a pre-made spreadsheet, click Object under the Insert tab, Create from file, and Browse for your file. When you have your file, click OK.
To edit the newly inserted spreadsheet, double-click it. 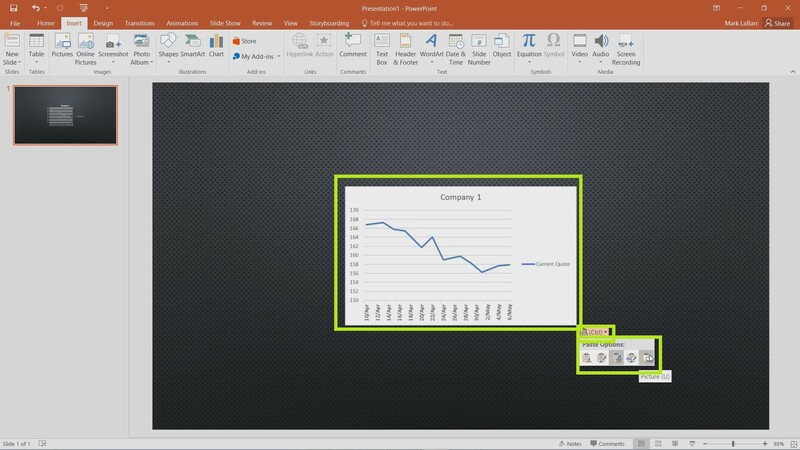 To insert a chart by itself, you can simply copy and paste it in from an Excel spreadsheet. 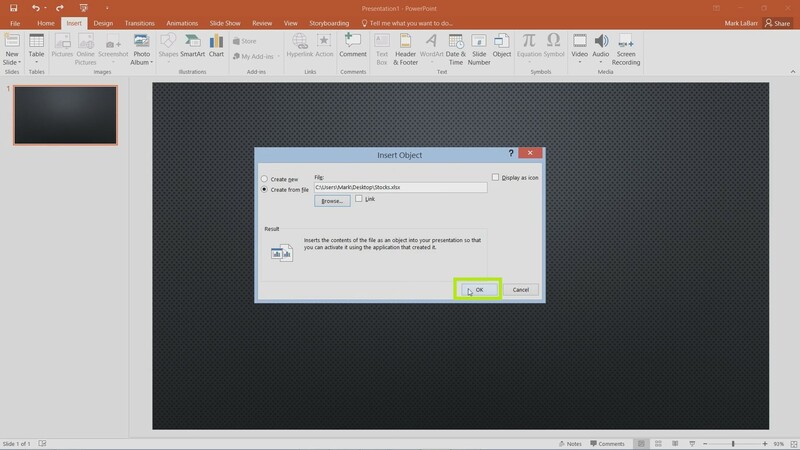 Under the (Ctrl) menu, you can choose to insert it as a link, as a picture, etc.